It’s amazing to think how people could throw away food so easily. This doesn’t happen only in restaurants, but also often at homes. It’s a situation that we can change relatively easily. 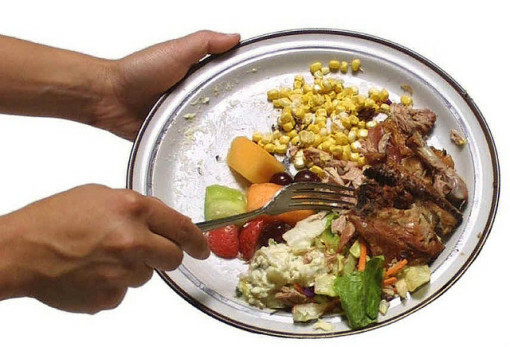 When we throw away food, we lose so much. The process of making edible food requires a lot of energy and it’s more than gas and electricity that we use. We should also take into account personal effort that we spend in acquiring and making the food. It’s a no brainer that wasting food is also wasting money and time, unfortunately we will never be able to get the latter back. It is important to know how to properly stop wasting food. If we still have plenty of mashed potatoes from dinner, we could make it into small balls, cover them with flour and fry them for snack. We can also make soft tortilla from mashed potato. If we still have some boiled potato, it is a good idea to make potato salad. It’s a bit too easy for us to throw away leftover rice. We may freeze rice that we don’t eat today, we can steam it the next day, so we will get warm rice again. Another alternative is to put it directly to the wok and make fried rice, which is a good thing if the rice is already a bit dry. It’s easy to cook more pasta than what we need and when the dinner is over, we will put the rest of the pasta in the bin. There’s no need to do that. We should rinse leftover pasta it cold water to prevent them from sticking together and put it in the fridge. Cold pasta can be reused the next day for lunch. We may add meat, sausage, tomatoes, mushrooms, cheese and peppers; it will be as tasty as the previous day. Bread can get mouldy too easily, especially when the climate is warm and humid. Fortunately, there are things that we can do with slightly stale bread. We may make summer pudding with bread or French toast at the very least. If we use breadcrumbs regularly during cooking, we may put stale bread in the oven and let it dry. Crush it, put it in a sealed bag and then into the fridge. We will get our breadcrumbs without spending an extra penny. It is also unfortunate that we often waste fruits and vegetables. We may cook fruits if they will go bad soon. Fruits can be boiled, we could add sugar, clove, cinnamon, lime juice or anything, depending on the recipe and the type of fruit. Vegetables should also be cooked soon before they go bad. Just about any veggies can be used for soup. Each morning we should check the fridge and check whether there are vegetables that will go bad soon. We may also make pizza with tomatoes, sweet corn, onions and bell peppers. If we still have plenty of unused ingredients, we shouldn’t hesitate to cook in big batches, because we can reheat for later consumption.